Item: CVA 677-706 - Bowen Island, B.C. Item: CVA 677-986 - Cedar walk, Stanley Park, Vancouver, B.C. Item : CVA 677-706 - Bowen Island, B.C. 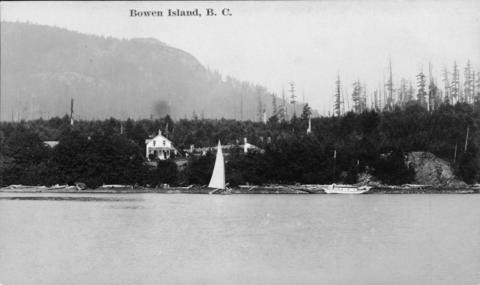 Photograph shows two boats near the shore of the island, as well as a house on the island.